The newly initiated member to the HITS $1 Million winner’s club from the weekend at HITS Coachella—Milano—loves nothing more than to compete under pressure, even if his kind eye and mellow attitude may hint otherwise. 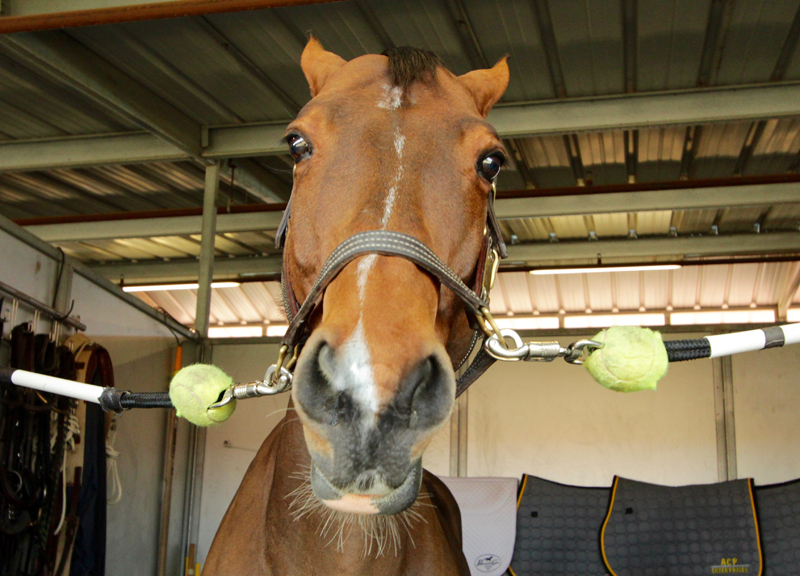 The 12-year-old, bay, Swedish Warmblood gelding (Orlando—Marostica, Pomme Royal) first joined rider Mandy Porter’s stable in San Diego, Calif., in late 2013—but not as a mount for the three-time FEI World Cup Final competitor. 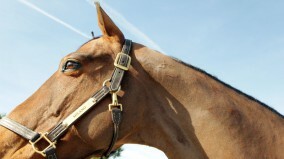 Instead, Porter’s client Abigail Weese purchased him to develop to the grand prix ranks herself. But in 2015, as Milano was coming back from a minor front leg injury, Weese turned the reins over to Porter in anticipation of new life changes, namely an upcoming wedding. Through the 2016 season, Porter and Milano established their partnership on the West Coast grand prix circuit, winning a handful of events without logging too many miles. It was that strategic planning from that has carried momentum into the new year and season. And in the five weeks that Milano competed with Porter at HITS Coachella, he won four grand prix classes—the most notable of which is, of course, the big finale, the AIG $1 Million. 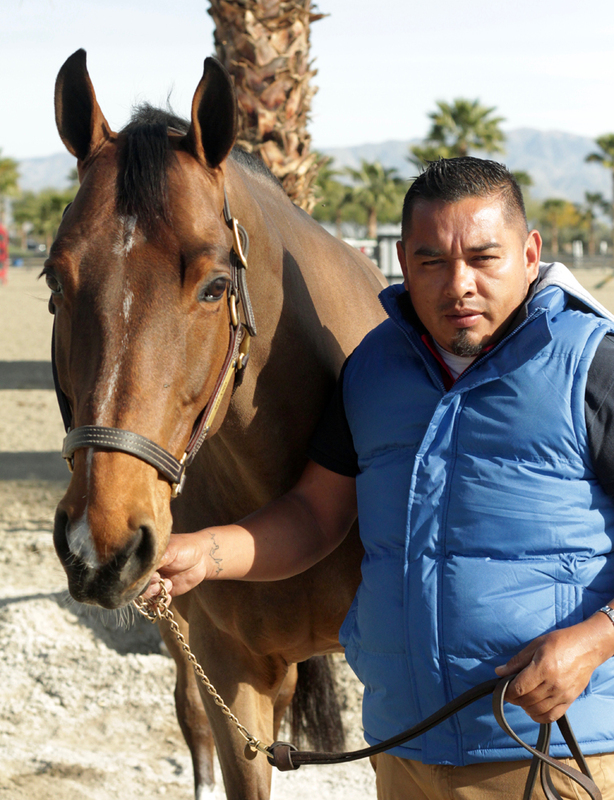 To learn about everything that’s gone into the toast of California’s winter circuit, we went behind the stall door at Milano’s desert stabling at the HITS Coachella showgrounds. • Porter and Weese first discovered Milano at Enda Carroll’s Ashford Farm in Belgium through their longstanding relationship with Stevie Macken. “I bought Milano in 2013, in Sweden,” Carroll wrote to us in an email. “The only person that ever tried [him] was Abby. It was so nice that she has given the horse the opportunity to grow. 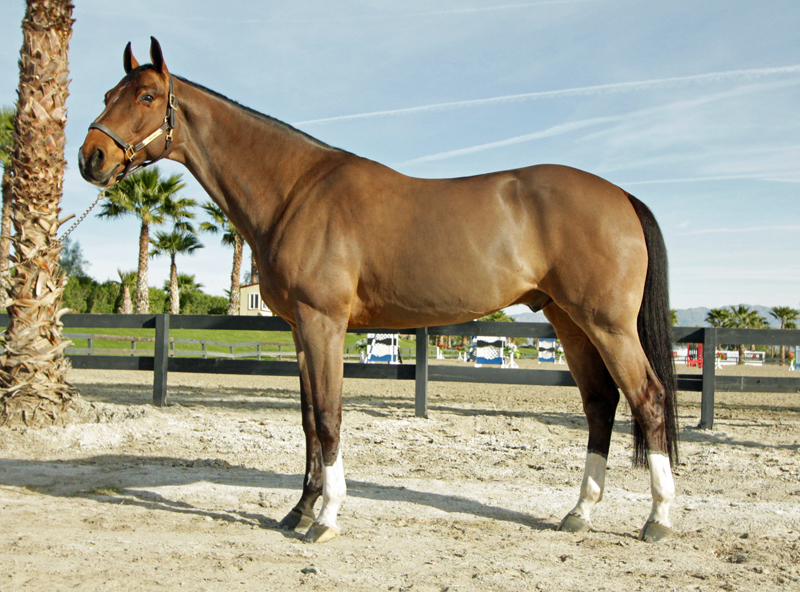 “It gives me, as a horse dealer, such pleasure to see a good horse that we sold develop into a great horse through the professional hands of likeminded individuals,” he added. • Even at the age of 12, Milano has yet to peak. He’s still learning the ropes and is showing he can take on the next level of challenges. • Milano loves to compete and truly learns from the questions presented to him. “He feeds off the high energy,” added Weese. • His competition bit of choice is a full cheek gag. “He has a tendency to get a little bit strong and pull a little downhill so the bit has helped to get control of that—but he thinks otherwise,” said Porter. • He’s opinionated and a free spirit. • Milano always competes in EquiFit T-Sport Wraps, partly because they’re excellent leg protection but mostly because they’ve become part of the winning recipe. 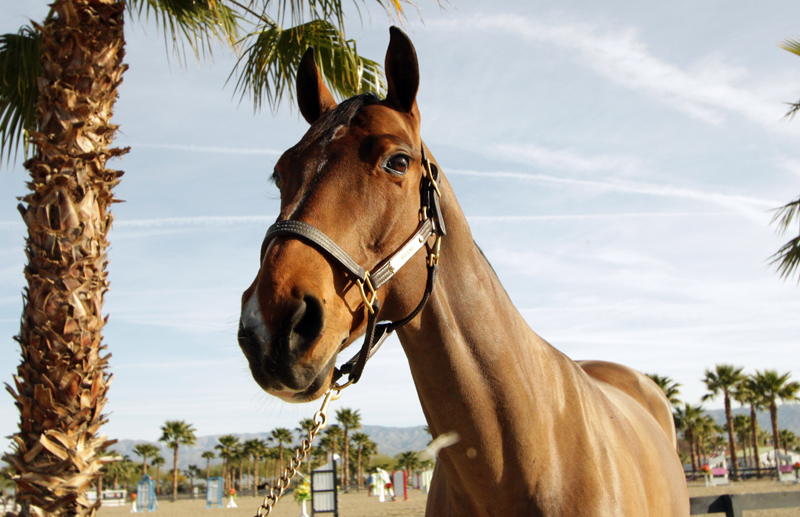 • When competing at HITS Coachella, Milano takes full advantage of the equine spa, which Porter believes helps to tighten his legs after competing and jumping hard. He also stands on the TheraPlate in the mornings before his handwalk, which helps to loosen him up. • At home, his daily routine includes walking on the Eurociser and equal time hacking out on the trails and working on exercises in the arena. • Porter uses EquiFit IceAir Cold Therapy boots and a Centurion magnetic blanket on Milano after every hard workout. • His diet consists of hay and Purina Mills Omolene 400 Complete with the Purina SuperSport Amino Acid supplement. 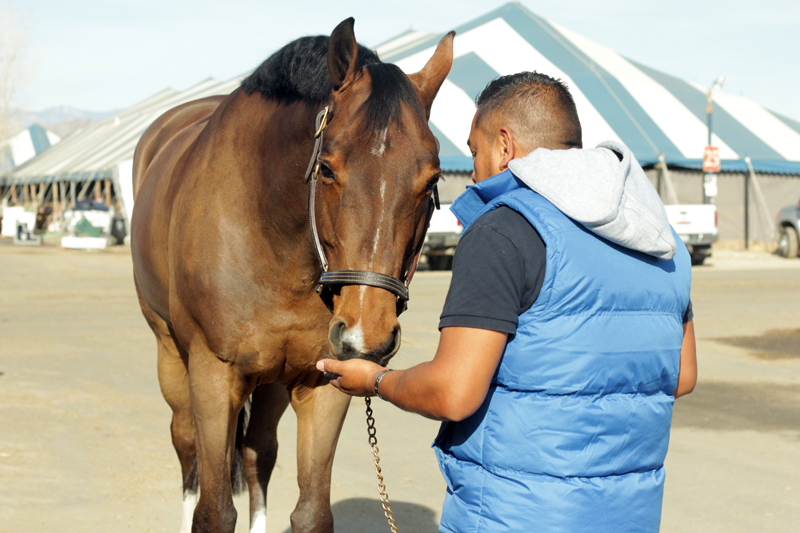 • Milano thinks he’s a big shot and loves to be fussed over by his groom Marco Antonio Cortes (known as “Cholo” around the barn). • Milano can look mean in the cross ties, but it’s all for show. Otherwise, he’s totally relaxed when walking to and from the ring. “It’s crazy, in a way, because he is so chill,” Porter described. “He can be so lazy. He will walk at a snail’s pace and you’ll wonder, ‘How do you get him to go?’ He’s really clever that way. • He can come out of the ring and immediately chill. “It’s an amazing trait that he has,” Porter said. • But he gets very excited to jump. • He’s not one for turn-out. • He has sensitive skin. 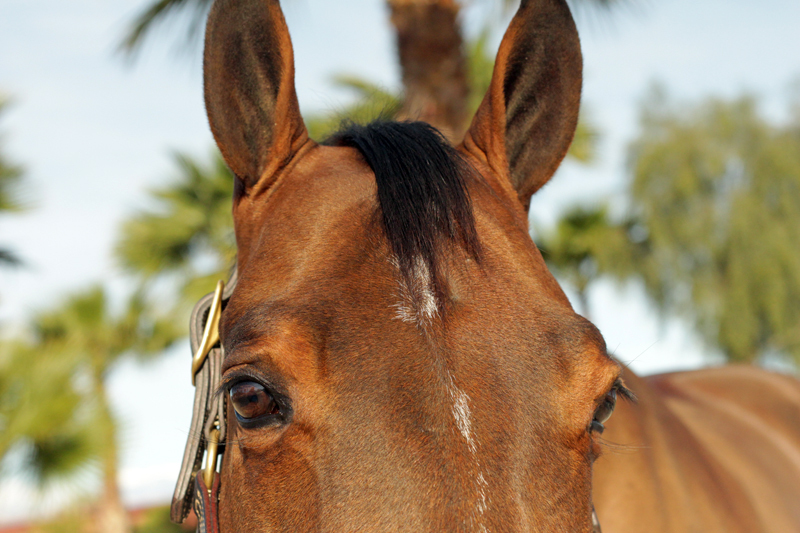 • He’s flying to Ocala, Fla., for the Great American $1 Million at HITS Ocala (Fla.) on Sunday, March 26. “[My partner] Craig Starr deserves so much credit for the work he puts in with the horses, the program, and making the plan,” said Porter. 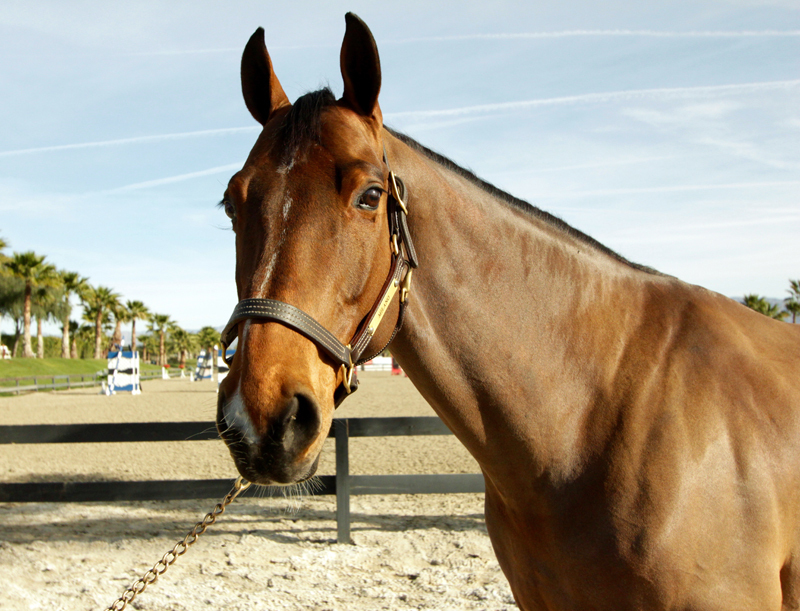 “We just decided [the night after the AIG $1 Million] to go to Ocala.